There is so much confusion regarding Google PageRank (PR) and Google Page Rank in the webmaster and SEO community, below I’ll try to to explain in very simple terms how PageRank works and how you can increase a webpages Google PageRank. For those not familiar with PageRank, it’s one of at least 200 search engine ranking factors Google uses to determine a web pages ranking in Google (has no impact in Yahoo, Bing or other search engines), PR is arguably less important to Google SEO 2014 than in past years, but is still an important SEO factor to Google rankings. 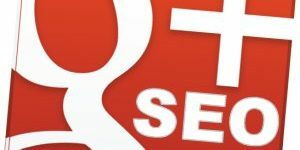 No one serious about Google SEO would argue backlinks are not important to Google rankings and since PR is a measure of backlinks, PR is important SEO wise. In simple terms PR is a measure of how many and how important the backlinks are to a particular web page: in general more links a page has higher the PR, links from higher quality pages (those that already have high PR) pass more PageRank than those with less PR. Every webpage Google indexes has it’s own PageRank value (it’s page based NOT site based), the PR scale ranges from PR0 (new webpages start at PR0) to PR10 with PR10 being the hardest to attain (there are few webpages online with PR10: those pages have millions of high value backlinks). Unless you own a Google, Twitter, Facebook type online business you will never attain a Google PR10 web page, it’s a difficult SEO task in 2014 to even attain a PR6+ page: as more pages are indexed by Google it becomes harder to gain a higher PR, it’s the mathematical nature of PageRank. To reiterate PR is just one of over 200 ranking factors Google uses, high PageRank alone will NOT equal High Google Page Rankings, that being said as a general SEO rule of thumb if you can obtain a PR5 home page from multiple high quality backlinks it tends to put a site in a position to compete for semi-competitive SERPs. 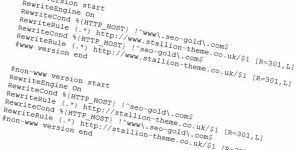 This is NOT a firm SEO rule, there are many sites with PR3 home pages competing successfully and sites with PR6 home pages that generate little Google traffic. The vast majority of webpages have a Google PR below PR7 and because PR is on a logscale (possibly base 8) moving up one PR level becomes increasingly difficult: easy to move from PR0 to PR1, significantly harder to move from PR5 to PR6. What the logscale/base 8 reference above means is each level is 8 times harder than the last. We don’t know for sure if it is base 8 (original PageRank formula was set around base 8), fortunately it doesn’t matter to us if it’s base 6, base 7, base 8… all that matters is understanding what a logscale means to increasing PageRank over time from backlinks. In simple terms if it takes 8 links to move from PR0 to PR1, it will take 8 times more to move from PR1 to PR2: 8 times 8 or 64 links, it will take a further 8 times as many links to move from PR2 to PR3: 64 times 8 or 512 links, it will take a further 8 times as many links to move from PR3 to PR4: 512 times 8 or 4096 links and so on…. The above is a simplified view of increasing PR IF all backlinks were equal (which they aren’t), so with this very simplified measure you can see moving from PR1 (easy to achieve) to PR5 would require over 32,000 backlinks. It’s not quite this simple, not all links are equal, but if they were the above gives a simplified view of increasing PageRank: more links equals more PR. Remember PR is just one SEO factor out of over 200 Google uses, concentrating only on increasing PageRank for the sake of having a high PR home page will not by itself result in high Google traffic. The reason why it’s not that simple is because PageRank ‘accumulates’ as it flows through webpages. A link from a PR5 page will pass more PageRank than a link from a PR1 page, the above simplified version assumes all the links are from the same PR pages (if they were all PR1 for example). In simple terms when you gain a link from a webpage your page gains a fair share of that pages PageRank. When a link is added to a page it passes on a share of PageRank, it’s not important to understand in great detail how PR works, but it is important to understand links pass a fair share of the PR and there’s a dampening factor on links otherwise without a dampening factor every webpage would be PR10. We can use the PageRank Logscale if Base 8 list I created above by giving each PageRank value an arbitrary PR points value, as above but we call them “pr points”. Read more about using the PageRank Points for determining reciprocal link value. The above represents how much PR is available from a particular PR webpage so we can use a simplified PR formula for determining how much a link is worth from a page. Lets look at a simple example, a PR4 home page that holds 4,096 pr points: not actual PR, just an arbitrary number to divide whatever PR is available. The original PageRank formula (this was published by the creators of Google many years ago) had the dampening factor set to 15% (85% or 0.85 is available to share) so we’ll use 15%. This is the amount of pr points shared based on a different number of links which can be used to predict what the PR of a page might be if it gained a link. You can look at the pr points = PR scale above to predict what the likely PR of a page might be from the links, for example the 50 links example passes 70 pr points and looking at the scale above the closest match to 70 pr points is (PR2 = 64 pr points), so for this example you’d predict the PR4 home page links could generate 50 PR2 pages. Many webmasters and SEO’s do not understand this basic PR Maths and ONLY look at the value of a link based on PageRank. They see a link from a PR6 page having significantly more value than a PR4 page, when the truth is it depends on the number of links from that page. You can see above if a link from a PR4 page with 10 links from it passes more pr points (more Google PR) than a PR4 page with 100 links. There is a misconception that Google treats internal and external links differently when passing PageRank, there isn’t any difference. Google fairly shares the PR through EVERY link, it doesn’t matter if it’s 10 internal, 10 external or 5 internal and 5 external, they ALL gain a fair share of the PR (1/10th each if there are 10 links). Also doesn’t matter if the links are nofollow, Google deletes the PR that would be passed through the nofollow links (never use nofollow since it deletes the PR), so in our 10 link example if 3 were nofollow the other 7 dofollow links would still only receive 1/10th of the PR each: only difference is the 3 nofollow links delete the 3/10th of the available PR (did I mention never use nofollow it deletes PR). Knowing the above it’s possible to calculate the link value worth of a reciprocal link exchange or buying text links for PR (Google doesn’t like you buying links or selling links, you’ll get a manual Google penalty if caught). Let’s see a reciprocal link exchange PR calculation example between a PR5 page with 30 links and a PR4 page with 10 links. Without doing the PR Maths you might think the PR5 link is worth more, let’s see. In this example the PR5 page passes more PR than the PR4. Let’s see a few more reciprocal link exchange PR calculation examples. In this reciprocal link exchange the PR4 link passes more PR. In this reciprocal link exchange the PR7 link passes more PR, but it’s closer than you’d think without doing the PR Maths. I’m sure before reading the above PageRank calculation you would have jumped at a PR7 link exchange, but thought twice about the PR5 exchange when in reality there’s not that much difference, the PR7 passes twice as much PR. In this reciprocal link exchange the PR6 link passes significantly more PR than the PR7 link. As you can see from the examples above just looking at a pages PR to determine how SEO valuable a link is does not work. You MUST take into account the total number of links from the page as well since that’s how Google determines PageRank flow. 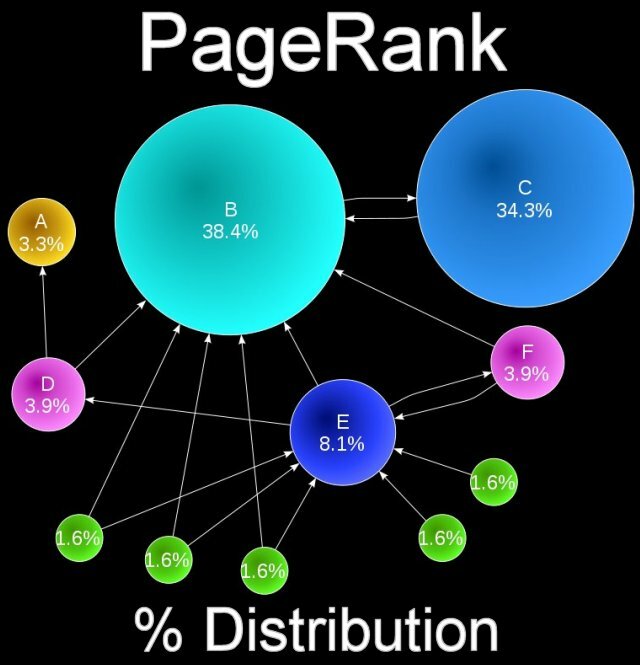 PageRank is probably one of the most important algorithms ever developed for the Web. PageRank is not simply based upon the total number of inbound links. The basic approach of PageRank is that a document is in fact considered the more important the more other documents link to it, but those inbound links do not count equally. good points here about Trust now being a major factor in search engine results, that goes with what Rand and others have been saying too. this also settles for me the value of a natural approach to gaining backlinks and not getting a huge bunch of them, or a large # of high pr backlinks in a short period of time – it rather undermines the Trust factor. I do wonder what you think of bing and how Trust does/will play a role in their results. it seems to me from a rather preliminary and cursory look at some results and comparing those to over at google and yahoo, that bing ofter relies more on the keyword/s being the actual url, which seems to me a rather poor way to rank sites/pages.Great Experience, will recommend them to everyone.